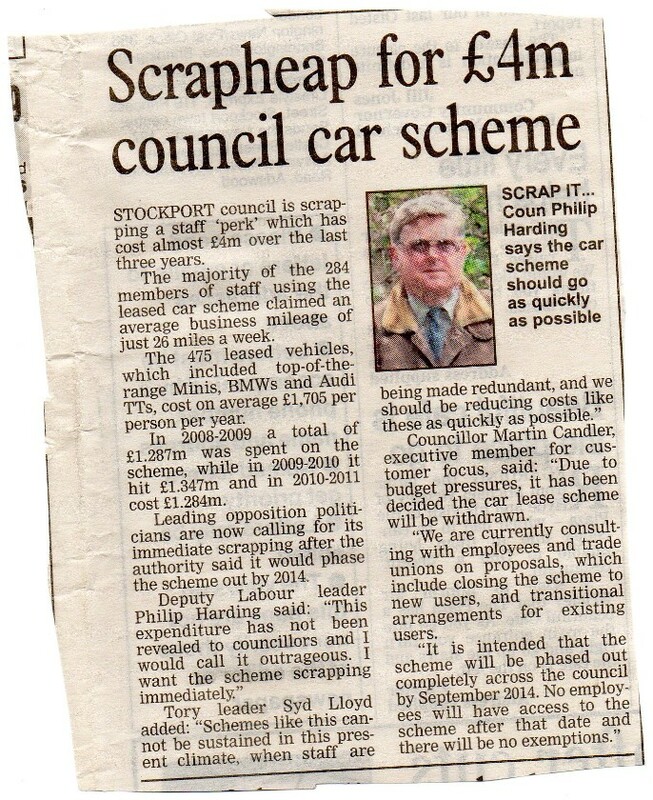 During 2011 Stockport Council spent over £1.284 million on lease cars for its staff. One third of these employees don't actually need a vehicle to do their jobs - these are added perks for them. The sort of cars provided include top of the range BMWs, Mini Cooper Cabriolets and Audi TTs. 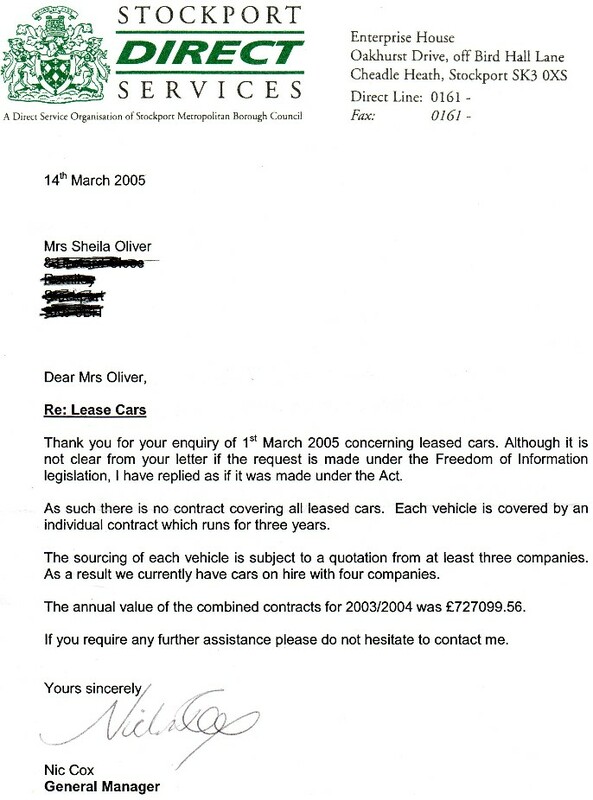 In 2008-9 the cost was £1.287million, in 2009-10 it cost £1,347 million. The majority of the 284 members of staff using the leased car scheme claimed an average business mileage of just 26 miles per week. 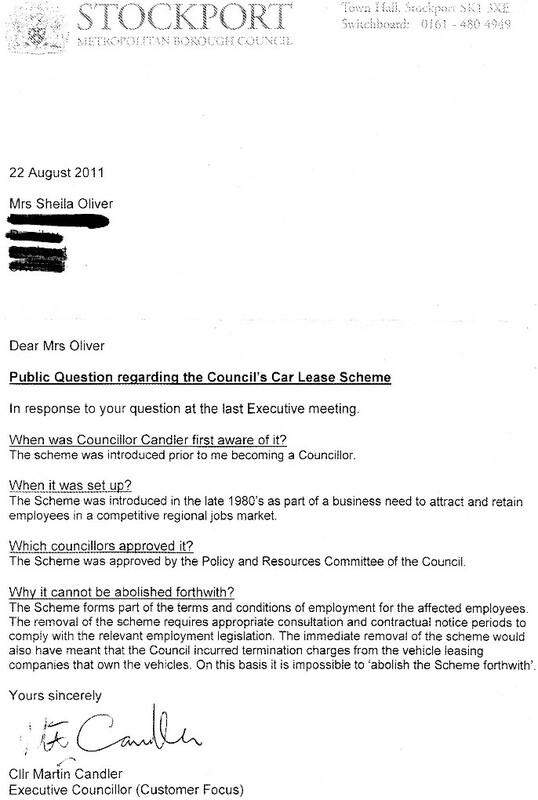 The scheme is supposed to close by September 2014, with transitional arrangements for existing users. Well, that's all right then!